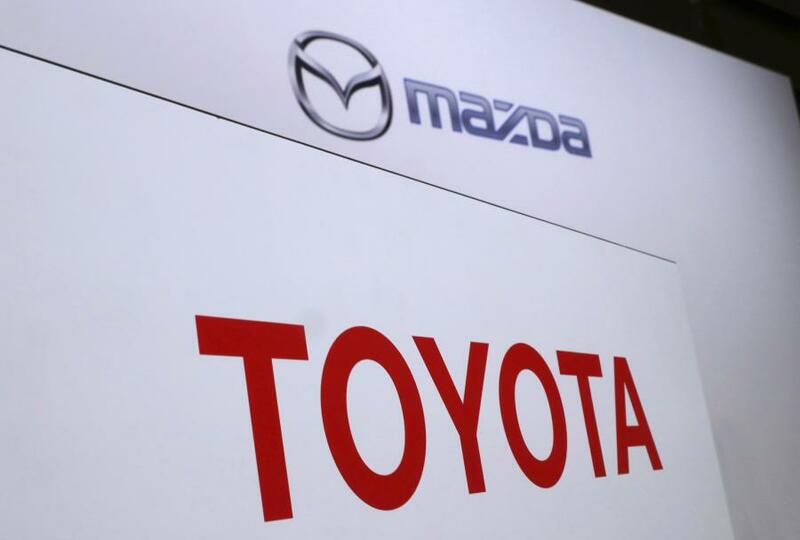 Toyota and Mazda will join Mercedes, Honda and Hyundai in operating factories in Alabama. MONTGOMERY, Ala. (AP) — Alabama's total incentive package to Toyota and Mazda will top $700 million after local incentives are added to what the state offered to land the companies' new U.S. factory. The Huntsville City Council on Jan. 11, approved a $320 million local incentive package. That is in addition to $380 million announced by the state in tax abatements, investment rebates and the construction of a worker training facility. Huntsville Mayor Tommy Battle said before the council vote that the joint-venture factory, which will employ about 4,000 people, will bring economic benefits to the region for generations. “If there ever was a slam dunk deal, this is a great one,” Battle said. Alabama's commerce department had announced only the state's share of incentives Jan. 10, when company executives announced the decision to come to Alabama. The new plant in Huntsville — already a hub for the region's budding aerospace industry — will produce 300,000 vehicles per year, a combination of the Toyota Corolla compact car and a new small crossover SUV from Mazda. Production is targeted to begin by 2021. Multiple states had competed for the project by the Japanese auto giants. “This is indeed a great day in Alabama,” an upbeat Gov. Kay Ivey said Jan. 10, flanked by company executives at a news conference in the state capital, Montgomery. Commerce Secretary Greg Canfield said Jan. 10, he believes the state is getting a “pretty good deal” considering the plant alone will create $5.2 billion in payroll over 20 years. “Not only that, it's really hard to measure the positive impact that having companies create career opportunities like this and how that transforms families,” Canfield said. Alabama was already tied with Tennessee as the fifth-largest producer of vehicles in the U.S. last year, according to the Center for Automotive Research, an industry think tank in Ann Arbor, Mich. The state produced 9 percent of the cars made in the country, the center said. “This project will really put Alabama at the center of the Southern automotive industry,” Canfield said. The decision to pick Alabama is another example of a long trend of foreign-based automakers building U.S. factories in the South. To entice manufacturers, Southern states have used a combination of lucrative incentive packages, low-cost labor and a pro-business labor environment since the United Auto Workers union is stronger in Northern states. Alabama started on the road to becoming an auto manufacturing hub in 1993 when Mercedes chose it as the location for a manufacturing plant after the state offered a then-eye popping $250 million incentive package. Akio Toyoda, president of Toyota Motors, said Jan. 10, that the new facility is something of a homecoming since the company already has one plant in the state. The new Huntsville plant will be just 14 miles from Toyota Motor Manufacturing of Alabama, which produces four-cylinder, V-6 and V-8 engines for several Toyota models.